Blues-rock band STEAMHAMMER was formed at the end of 1968 by Martin Quittenton (guitar), Kieran White (vocals, harmonica, guitar), Martin Pugh (guitar), Steve Davy (bass) and Michael Rushton (drums). Their first album, "Reflections" (AKA "Junior's Wailing") was released in 1969. After this first album, Quittenton and Rushton both quit the band to be replaced by Mick Bradley (drums) and Steve Joliffe (sax, flute), who gave a jazzy influence to the band in their second album, "Mk. II" (1969). 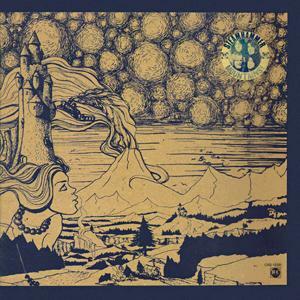 Shortly after this release, Joliffe left the band, wich continued as a 4 piece in their third album "Mountains" (1970), which was a returning to the blues-rock of the first album. 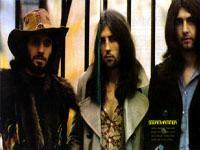 After a major turnover, Pugh and Bradley invited Louis Cennamo (bass) and, along with special guest Garth Watt-Roy (vocals), recorded "Speech" in 1971. 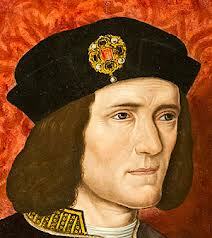 This last album was released posthumously, after Bradley's death in 1972. Kieran White released a solo album; both Pugh and Cennamo formed Armageddon with Keith Relf in 1975. Martin Quittenton went to play with Rod Stewwart. 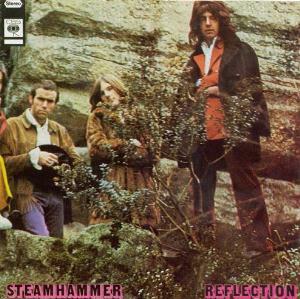 For blues-rock fans, "Reflections" and "Mountains" should be STEAMHAMMER's best albums. Progressive rock fans will find "Mk. II" more interesting. This is a highly recommended band to everybody interested in the late 60's British blues-rock scene, along with SAVOY BROWN, BAKERLOO or JOHN MAYALL'S BLUESBREAKERS. 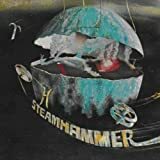 Steamhammer's 4th and final album is the one fans are most divided on and it's easy to see. Many of the riffs are still somewhat blues based but as you might guess from the track lengths, the song structures are quite different from their previous material. The album looks very promising on paper for prog fans with only 3 tracks that are all over 10 minutes (the first being 22!) but in reality it doesn't quite stack up. Track 1 is the side-long "Penumbra". It has some great guitar riffs, at times pretty heavy for 1972, as well as very solid performances from all the band members. Unfortunately it seems like they weren't quite ready to make a 20+ min epic; some sections are too drawn out and many of the transitions feel somewhat disjointed. It has it's moments but I would not count it among my favourite prog epics by any means. The 2nd song, "Telegram (Nature's Mischief)" is almost 12 minutes long and is my favourite from the album. A good mix of heavy riffs and some jamming and great guitar solos. Not as experimental as the first track but it flows much better and is a great heavy prog song overall. "For Against" is the final track and I was hoping for a similar number to the last one with it's near 11-minute running time. The first couple of minutes are good, some noise and feedback in the intro similar to "Penumbra" before a fast paced drum beat kicks in and a nice bluesy guitar riff joins it. Unfortunately, more than 7 minutes of the 11 are taken up by a drum solo. I've never understood why bands used to include long drum solos on their, a live concert is a different matter but anything over about 20 seconds doesn't belong on a studio album in my opinion. My least favourite song on the album and a dissapointing way to end it. 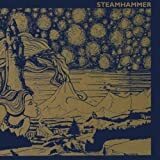 Overall this is a mostly enjoyable album that fans of heavy prog should check out and if you are a fan of other Steamhammer albums it is certainly worth investigating. However, while I appreciate many moments from the album (especially the guitar riffs) and applaud the band for trying something completely different, the songwriting is not quite there and leaves me with mixed feelings. 3.5 stars, rounded up to 4. Steamhammer released a total of four albums. The first being a sort of jazzy blues rock one. The next two, "MKII" and "Mountains" were steeped more in the jazz-rock mould, giving it all a much more progressive feel. And then they released "Speech". If you know anything about Steamhammer but haven't heard this one you are in for quite a surprise. My first Steamhammer album was "Mountains" and I was enthralled by it's warm, progressive jazz-rock thing. So, when I bought this one in my early 20's and put it on I was in for a completely different ride alltogether. First let me tell you, I adore the cover art. It's simply amazing. Dark and brooding and with an imagery rather hard to fathom. But it fits the music perfectly and that is somewhat the whole point with album covers, don't you think? So, on to the music. The intro to the first track, the 23 minutes long "Penumbra", is the most sinister, foreboding, scary I have ever heard. It puts the norwegian black metal bands to shame. And yet at the same time it is also one of the most intriguing and loveable intros I have ever heard. Listen to it with headphones in a dark room. There's a sunday treat, if there ever was one. When the intro grinds to a halt after 3 minutes and 20 seconds a harsh, cold and brutal guitar riff comes into being and you are served a nice slice of early hard rock that is heavy, fast and furious. It's like you hear a band falling apart in the studio, trying to kill each other with an immense barrage of energy. FIve minutes in to the piece comes a calmer section with vocals. I love this part. I l-o-v-e it! What am I listening to? Am I standing at the entrance of hell? Has doomsday arrived? Are these the final days? And then the riffing comes back. Different but with the same feeling of frustration and energetic charge. After that has passed you find you're self in a different landscape where a bluesy hard rock riff takes the center stage. Everything then heads for a climatic ending with instrumentation and a roar resembling a dying whale. Or something to that effect. I have always loved the first track. An epic? Well, I suppose so. An epic of darkness. "Telegram", the second track, is a bluesy hard rock affair that rhythmically is askew and slightly off the wall without going totally bonkers. Also a fantastic piece, constructed in a similar fashion to "Penumbra", only half as long and not quite as intimidating. The last track "For against" gives us a somewhat organized noise with off the wall riffing and a drum solo. Not the finest piece on the album but a good one nevertheless. The drum solo tends to drag on for just a bit too long. All in all I find that this album is, probably, the most progressive of the four Steamhammer made during a three year period. That is not to say it's their best one but it is certainly a very interesting album and extremely enjoyable. Somewhat underappreciated, scorned and misunderstood I think it deserves to be heard more and loved more. A great prog album bearing both compexity and furious energy. I only wish they had stayed together and made another one. God knows what that would have sounded like but I am positive that it would be a wonderful album, as all four albums by the band are. Listening to their first album "Reflection" and then putting on "MK II" you are quite amazed to hear the steps that have been taken in just a short while, seeing both albums released the same year. The debut album by Steamhammer sees a blues rock band with a jazzy inclination but their second effort shows a band that matured rapidly and had begun fusing together elements to what can rightly be called progressive rock. On this album they adopt a style that sees comparisons with the likes of Colosseum, adding brass and horns. Thus fusing folk, jazz, blues, rock and then some into a handsome and stylish prog album. The change is evident on the opener "Supposed to be free" which is a real gem but it doesn't stop there. It just keeps on going. "Johnny Carl Morton" is the second track and the first one that, I think, really shows some genuine complexity. A forceful, cembalo driven piece with a sometime Comus-esque vocals, if that makes sense. "Sunset chase" is hauntingly beautiful little instrumental piece preceding the great and magnificent blues number "COntemporary chick con song". Although that track isn't particularily progressive it's still one hell of a song. "Turn around" is flute heaven and here tou get flowing jazzy stuff with a great folky bottom. I dislike all comparisons to Jethro Tull as soon as there is a flute around but the song "6/8 for Amiran" sounds alot like something from "Stand up". 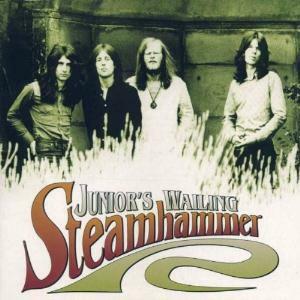 It would not surprise me one bit if Steamhammer had been listening to Tull. I mean, who wouldn't? "Passing through" is great song with a wonderful melody line. "Down along the grove" is a short instrumental piece that sees them exploring a folky, almost medieval path. And then it hits you, the 16 minute long "epic" of the album. Wonderful flute opens the whole thing, before a great guitar riff and then you're off. It's very much a jamming sensation to the proceedings but what a jam! It's one of those songs that just keeps you going, wanting it to last forever. Apart from the superb musicianship, the progressive steps taken and wonderful vocals I have always been struck by the enormous warmth and love that pours out of the speakers (or headphones) when I listen to this album. It is gentle, it is rough and always warm and inviting. 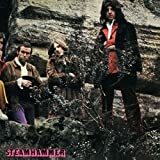 There is something very special about Steamhammer that I find not very many bands can or have been able to provide. What that is? Hard to say. It lies hidden in the performance, a subtlety, a je ne sais quoi. Anyway, a great album and a certain must for anyone who has any interest in early progressive rock, from a time when the genre barely existed as an entity. A time when genres was mixed, fused and blended and perfected into something very unique and exciting. If Colosseum, Jethro Tull and that sort of bands are to your taste I will bet that you'll find a whole lot to discover and cherish here. Steamhammer has been a part of my life for the past twenty years and I'm very glad for it. Starting out as an almost orthodox bluesrock band they evolved over the course of their four albums. Each new record brought new elements and it all ended in the glorious "Speech" in 1972. Having said that we will now delve into the first incarnation (soundwise, anyway) of this spectacular group. I feel they are a bit underappreciated. Perhaps they failed to make enough of an impact at the time and certainly failed to make much of an impact later. Anyway, "Reflection" starts off with a wonderful little instrumental of just 50 seconds, "Water (part one). The flowing water over a gentle, slightly jazzy guitar is beautiful. This is all changed with their biggest "hit", "Junior's wailing". 3 minutes and 17 seconds of pure blues rock heaven. However much I like blues rock as a genre it is from a progressive perspective perhaps more of interest as a precursor to the mighty prog movement and while "Reflection" consists of music very much in the vein of "Junior's wailin" there are exceptions that points to the direction (or directions) to come. "Lost you too" is a wonderful ballad with a strong jazzy bottom. "She is in the fire" is also a slightly jazzier track with an amuzing trumpet intro. "Even the clock" is driven by flute and jazzy drums, "On the road" is another slow track with great feeling and a guitar solo played backwards. It all ends with "Water (part two)" which is, if possible, even more exquisite than the first part. The two "Waters" constitutes a great opening for the album and an even better closing. From a strict progressive point of view "Reflection" is interesting mainly of the same reasons that Jethro Tulls "This was" is. It shows the eclectic approach to blues rock, adding hard rock and jazz and folk, eventually turning it all into, you guessed it, progressive rock. If I was to point out a prog album to a newcomer I wouldn't go for "Reflection" but if you're into prog with a jazz and blues bottom, not unlike Colosseum for instance, or like Steamhammers later output I would very much recommend this album. As far as prog is concerned I have to give this album three stars but as an album as such, a blues rock album with jazzy undertones, I'd give it four. Finally, finally after 45 years is this album is starting to be given its just due. For me it's the most underrated album of all time. I first heard it in about 1987 (I was in kindergarden when it came out) and thought, "wow." Well I am still going "wow." The reason I feel that Steamhammer didn't get the attention they deserved was that they were actually three bands, they evolved so quickly. This is highly unusual for a rock band and inhibits acquisition of a loyal fan base. Steamhammer started out bluesy, then moved into the "Passing Through"/ "Johnny Carl Morton" phase of spacy, melodic material. Then in their most mature period, they release the burst of intense genius known as Speech. I'm sure fans didn't know what to think. New fans had little place to turn after the drummer Mick Bradley's untimely death soon after the Speech recording. In the ashes guitarist MartinPugh formed supergroup Armageddon with what was left of Steamhammer, basically bassist Louis Cennamo. Singer on Speech Garth Watt-Roy was not a regular band member. Drummer Bobby Caldwell of likeminded Captain Beyond and rock veteran Keith Relf, singer of background vocals on Speech, round out Armageddon. Then Relf dies and Armageddon is history. Double tragedy strikes Pugh and Cennamo! Speech is so special, the kind of record that comes once in a listener's lifetime. Words here, especially from no great poet like myself scarcely do it justice. Go to youtube and listen to it full album. Yet I think Speech deserves a detailed paean to its greatness; I will attempt it. My favorite track "Penumbra," is 22 minutes of pure glory. My friends ask me how my favorite song needs to be five times as long as their faves. Well as engaging as it is, it could have even been longer. Really it transcends time. The listener is so enraptured, rational attributes like clock time don't enter the picture. The composition starts out with an atmospheric dungeony vibe with a single stringed instrument. I thank the other reviewer for ID'ing the instrument as a bowed bass. Then wild lead guitar work takes over. Pugh is an extremely accomplished and unique guitarist. The guitar solo backed by Bradley's expert drumming is about a minute. This gives way to a dramatic section with a haunting vocal. Next comes truly psychedelic guitar and tom madness. I would imagine any of you acid takers out there would be freaking in a very positive way. Certainly for us non-indulgers, it is the pinnacle of Nik Turner's definition of pyschedelic music: something to emulate or replace the chemical trip. But "Penumbra" is only getting underway, into what I call the tribal fiesta section. This gotta be the best acid trip in the world, and no-one necessarily has ingested anything! The guitar is caressing, though pretty shreddy, and the drum-work like what you'd find in "Magic Carpet Ride," but ten times better. Things quiet down for a bit, getting atmospheric. Then guitar with a very forceful, tone(don't ask me how these sound are created-- I have minimal guitar experience) launches into another melody. An equally forceful vocal comes on, then echoey, droning instrumentation and a grand finale full of mesmerizing echo and what sounds like sitar, perhaps just the guitar pedal-dunno. All the while those drums just won't let up. You feel like you have been transplanted to Haight Ashbury in its heyday. The next track, "Telegram," almost half the length of "Penumbra," starts with jazz chords not unlike your classic prog --Yes, Genesis, what have you. But it's far more guitar oriented. Pugh goes into high gear, a gong sounds and some fairyland-like strumming ensues. Hard proggy guitar blasts this away. The second vocal begins. There is a lot of vocal on this track, in contrast to "Penumbra" 's vocal sparseness, but the singing is on equal amplitude with guitars, not either in the foreground or background. Next comes a riff rounded out by a chorus and toms. The riff is then set to spacy sound effects. This is an extremely complex song with many different guitar and vocal sections. The writing dwarfs even prog's assumed greatest. At about eight minutes, arrives sparser but crescedoing guitar accented by Bradley's trademark drumming. Then there's an outpouring of guitar and drum intensity. Being exposed to stuff like this may explain why I stopped listening to those three minute, formulated 1960s "nuggets" and really any music that has no development. "For Against," a track of about equal length as "Telegram" opens with a guitar melody built of jazz chords but hard rock in delivery. Bradley gradually assume center-stage with the drum solo to end all drum solos. It is never for a minute boring because Bradley was obviously one of the world drumming greats. (It also is very beneficial to listen through headphones; disclaimer: I'm a drummer) So tragic his loss at only age 24!! He must have been conducting drum clinics to the angels for the last 45 years. At 10:10 the boisterous jazz chord melody resumes and soon thereafter best album ever comes to its close. Steamhammer's excellent sophomore effort came out in 1970 - a magical year for progressive rock. That was when most bands created their debuts. Something was being born. Something new was comming. "MK II" marks (a little pun for you there) the time when most blues rock bands started including elements from outside blues to their music. Steamhammer was no exception. And even though it is largely based on blues, a lot more influences are visible. An outstandingly talented flautist Steve Jolliffe (later of Tangerine Dream) joined, giving the group a much more eclectic taste. Martin Pugh's great guitar-playing taste gives you goose bumps. Kieran White's amazing voice once again doesn't disappoint. This work goes from "6/8 For Amiran", an Arabic-inspired music with great singing, guitar, flute and haunring rhythm, through folk-influenced "Sunset Chase" to full-on modern blues "Contemporary Chick Con Song". A unique work and a masterpiece that always seemed to stay in a shade of better known projects. It's a shame that it did. 10/10 without hesitation! This album is top of British blues rock excelence! A perfect crossover between stealthy, classic blues rock sounds and a hint of prog rock flavor. 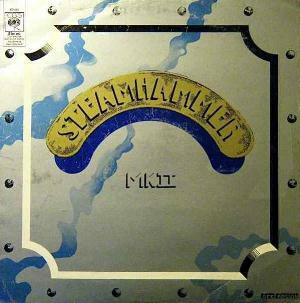 Steamhammer produced some fascinating and breathtaking material during their short-lived career in the British underground. Wonderful songwriting, musical know-how, tasty moods - these terms perfectly define this album. Featuring excellent playing from one of the most underrated guitarists in the history - Martin Pugh. I can easily say he had his own style and his screaming signature tone, you know it when you hear it!! Kieran White supplies this album with robust, veteran blues vocals and rhythm guitar playing, which sits perfectly in the band mix, at times sounding like a Rhodes electric piano. Steve Davy, a young bass player with a strong jazz influence and a new drummer Mick Bradley provide a strong rhythmic fundation for the band's own sound. My favorite tracks from the album... Every track is my favorite, but if I were to choose just one, a cover of a New York swing-blues classic "Riding On the L&N" leaves you speechless. This track has it all. An essential track in British blues history. A sign that blues is getting modern, that the new age for blues is comming. As an interesting fact - "Henry Lane" features something of a rarity in those days - a banjo! This gives the track a pleasant, folky feel. Overall, I didn't even think about any other rating than 5 stars. This album is a must for progressive rock fans, showing boundaries of what the genre was and how interesting it could be. That said, hail Stemhammer - a criminally underrated band! I'm all for progress when it comes to musicians expanding their sound, but while this album is ultimately fairly successful, it plays a little too closely with serious misstep. The debut album had such a warm, inviting sound. Beautifully produced and executed with real care, but also an admirable level of musical focus. Here, while the great production and excellent, disciplined playing continue, the band become somewhat lost in an endeavor to expand into areas of jazzy blues, a sort of darker bubblegum psych and progressive rock arrangements. And I just don't think the result is a cohesive musical statement. While Steve Joliffe seems to have a lot of praise heaped on his contributions to this album by the prog crowd, I find his sound within the context of Steamhammer to be somewhat unconvincing. It almost comes off like they didn't want to be compared to Cream and the blues-rock giants of the day, so they quickly changed their identity. And perhaps too much. Add to that the harpsichords and some psych flavors which rear their heads on Side 1, and the album projects an unfocused feel. By the time of "6/8 For Amiran," they are in territory which I don't think juxtaposes well. Adding bluesy harmonica to a repeated, odd-time synchronized riff is innovative, but doesn't make a lot of sonic sense here. Krokodil might be one of the few groups who were able to texturally combine harmonica with progressive arrangements as they moved through their career, but here is doesn't come off as well thought out. Just attempted. Side 2 really saves the record. 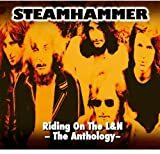 The Steamhammer established on the first album is back at the wheel instead of riding shotgun. Steve Joliffe adds some flute which I think works well and is done with a subtle flare. His sax work seems out of place to an extent on Side 1 , but here it begins to merge more impressively. Still, it sort of appears and then disappears. It's not fully integrated into the twin guitar sound. The flute, however, begins to really convince as it weaves its way into the proceedings. "Fran And Dee Take A Ride" is an absolutely gorgeous closer. Acoustic guitars gently pick through a wonderfully moving set of chords, as Leslie guitar drops delicate notes into the mix with beautiful results. 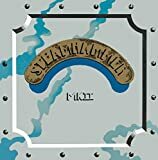 Steamhammer's fourth record "Speech" was a different thing for me to review. It was released in 1972 and has a cool and artistic cover, presumably taking place somewhere in space. And it was space I got some thoughts about when I heard this form of music. I located it somewhere between blues rock(for example Jimi Hendrix) and Pink Floyd. An interesting mixture I guess. The music began with an interesting and different track called "Penumbra" which lasted the whole side. 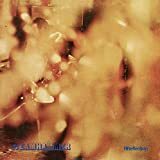 Beginning with crying cello(it sounds like that) and voices and then overtaken by excellent guitar play this record welcomes us for this nice song which also consists great vocals and keyboards. The remaining tracks is not as good as this first one. "Telegram" do not make a success because of the song's low volume. But there are very groovy guitar and bass that play solos with perfection and towards the end we can hear some form of medieval march. "For against" has short intro and outro and in the long middle there is a drums solo. The drummer Mickey Bradley did a very good job in this song. Even if it's just drums it's like they were telling us a story. It was too long thought and not as interesting that I will praise it. Mostly the first song was interesting in my eyes and something to explore more from. This was different music in all ways. It was like a common rock band which had to do a progressive effort in their lives and that was a good idea of course. As not overwhelmed three stars would be a fair rating. How it is that this indescribably PHENOMENAL quintessential prog-rock album has only been reviewed by 4 other people is absolutely astonishing, especially considering that this site is taylor made for prog-aficianatos. What's even more bewildering is that 3 of these individuals who DID actually take the time to review this album gave it SCATHING REVIEWS!!!....REALLY? ?...Did you three actually LISTEN to the album?? Perhaps you guys were flat-out hallucinating?? Anyways, this 1972 album is absolutely brilliant and downright massive. There is nothing else like this recording. The opener, "Penumbra" is 22 plus minutes of pure sonic intensity and is infallible from beginning to end. The dynamically fierce guitar playing, the superb and intermittently strident and cacophonous (in a very, very good way) bass playing (implementing a bow), percussion that is just plain other worldly, and spacey effects make for one bohemoth of a composition. It most certainly merits a spot in my top three favourite pieces of music that I've ever experienced. "Telegram" is also a spectacular and totally unique piece of heavy progressive rock that demands maximum blasting. "For Against" is unadulterated drumming divineness and yet another piece of indisputable evidence that Mick Bradley was one of the all time greatest percussionists ever. It is beyond unfortunate that this supreme talent passed away at 24 years old, for god only knows what this amazing man would have continued to accomplish had he lived. "Speech" was consequently the last album Steamhammer created and to say that they finished on a high note is the understatement of the millenium. This masterpiece has no equal.